Ervin, once the pride and joy of the science world, comes of age as he finds himself exposed to the harsh realities of life. Dismembered and smuggled out of England by a mysterious character called The Alchemist, Ervin finally experiences the one thing he has longed for – to be human, and he quickly realises that the world outside Hodgson’s Brewery gates is a cruel place. This book is the final part of the Tick Tock IPA trilogy. 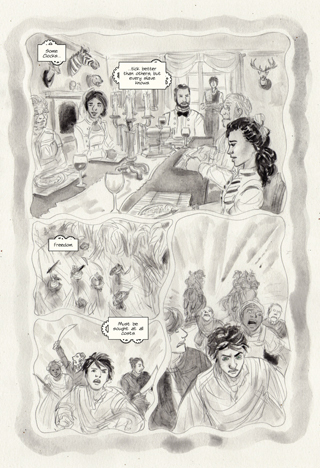 It’s a story of how a Clockwork Servant became sentient, a development that shook the moral fabric of British society, industry, the church, and the crown. 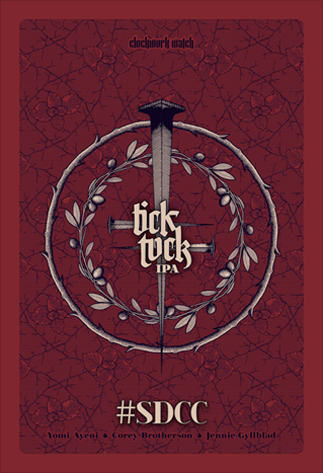 The artwork, lettering and colour palette in Clockwork Watch: Tick Tock IPA is different from our two previous titles (The Arrival and Breakaway). 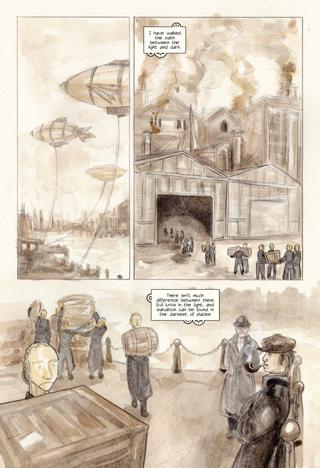 Jennie’s approach sets out to create a dated, sepia tone which compliments the story beautifully. This book includes the penultimate script, and comments between the creator and editor.